Its Hectors 40th birthday and friends and family gather at his house for a BBQ. But in amongst the celebrations one of the guests slaps a child that is not his own. No-one can see it at the time but this single act begins to unravel the social fabric which once linked them all together. In the days and weeks after the slap Anouk discovers that the incident has unleashed unexpected responses from those around her. She is torn between her friendships and her beliefs and faces decisions about her own life which threaten to overwhelm her. 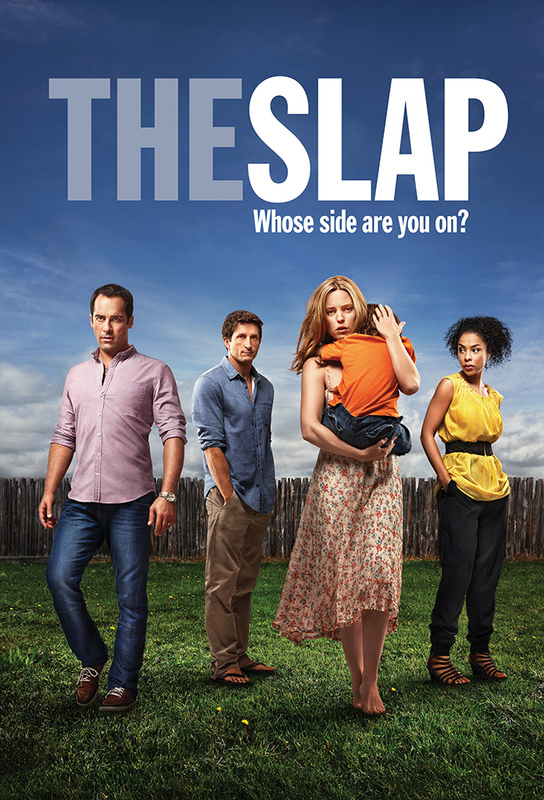 As the police become involved, Harry and Sandi begin to fear that the slap will threaten their reputation, lifestyle, and most importantly their family. Harry tries to take matters into his own hands but its too late. Things with Connie and Hector havent been the same since the slap. She decides to confront Hector but his reaction propels her into a decision that will have serious consequences. Rosies outrage has been building since the slap and now finally she is given her day in court. The friends from the BBQ gather again but this time under very different circumstances. Struggling to understand the selfishness and greed of his childrens generation, Manolis watches in alarm as the slap divides his family. He calls on a special bond to try to and put things right. The slap has taken a toll on Hector and Aishas relationship, or maybe it has just exposed the issues that were already there. They go away together to try to restore their marriage, but their holiday does not turn out as planned. Lies, betrayal and adultery all come to a head as people are forced to make decisions about their lives and behaviour. When Richie gets caught in the crossfire, he looks to a desperate solution.